The custom among the pagan Arabs was that an adopted son was like a person’s real son. He carried his adopted father’s name and inherited from him. God’s Message in the Quran overturned that custom. Quran, we must understand, came to safeguard lineage. A man may 'adopt' a child and take care of him, but that child cannot assume the lineage of his 'adopted father' - as in the sense of long term fostering. He must retain his own family name, it was henceforth prohibited to do otherwise. By marrying the ex-wife of his fostered son, the Prophet (peace be upon him) demonstrated in the clearest possible way that in Islam an adopted son is not the same as a natural son and that the guardian of an adopted son is permitted to marry a woman who was once married to that adopted son. Naturally, the Prophet would have dreaded to go against his society’s conventional ethics and standard. This, however, was from God’s wisdom. If the Prophet (peace be upon him) had only said to the people that since adopted children are not true children, therefore they are permitted to marry the ex-spouses of their adopted sons and daughters, it would not have had the same effect. Cultural practices and taboos are quite strong. For instance, as Muslims we all know that race and ethnicity are not important. However, we can see the problems that almost invariably arise when a Muslim girl wants to marry a Muslim boy (or vice a versa) from a different ethnic background. 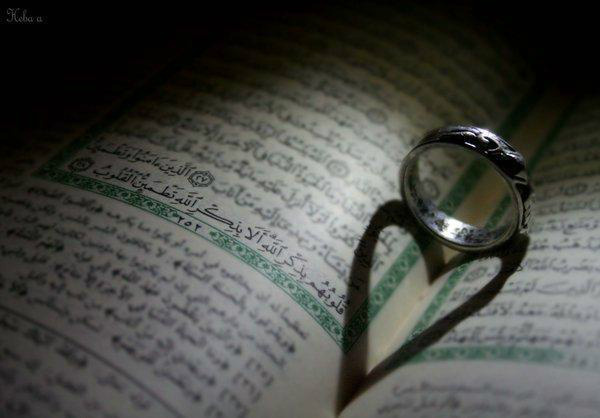 Therefore, the Prophet (peace be upon him) was commanded to marry her by way of example. As for the controversial story found in the apocryphal sources. It is generally acknowledged by Muslims scholars that the story is baseless and full of contradictions and are not up to acceptable standards regarding authenticity. In some of the narrations it was said that the Prophet Muhammad (peace be upon him) came to visit Zayd, but Zayd was not home before the Prophet was received by Zaynab [the wife of Zayd]. While other narrations state that Zayd was ill, therefore the Prophet went to see him. So, Zayd, Zaynab and the Prophet were all at the same room. How could Zayd be away and ill in bed at the same time? The narrators differ in narrating the state and the way in which the Prophet saw Zaynab; some said he was at the door, others say she came out, while others say he saw her when the wind blew the fabric barrier. Furthermore there are several faults in the chain of transmission. However, what is known from the Quran is that the marriage between Zayd and his wife was unstable, the sensualising thereof is unwarranted. Moreover, the Quran admits no other source to be used in conjunction with the Quran's interpretation or as a separate source for law or judge. 45:6, 6:114. Perhaps this story was influenced by the alleged Story of Daivd (peace be upon him) and Bathsheba found in the Bible, 2 Samuel 11. Some Muslims or possibly converts from the people of the previous Judea-Christian scripture probably read that story and told a similar story about Prophet Muhammad (peace be upon him) and Zaniab Bint Jash. Moreover, such stories were made up by certain influential individuals to appease the licentious ruling elite. Either way, the story is false and baseless. It would be disingenuous and intellectually dishonest to claim otherwise. As has been acknowledged by scholars past and present: This story is baseless. It does not come to us with any chain of transmission worth mentioning. If we wish to believe this story, we might as well believe anything that people tell us.